I would like to inquire about your property Bayut - 781-Ap-R-0076. Please contact me at your earliest convenience. RGS International Real Estate proudly offer this well maintained and great location 1BR Apartment in Al Sufouh for 50K AED. - 10 mins walk to Sharaf DG Metro Station. *All photos are for illustration purposes only. Al Sufouh is one of the localities in Dubai, which is located on the western side of the city and along the the Persian Gulf Coast as well. There are also a number of property developments such as Dubai Knowledge Park and Dubai Internet City. It is mainly divided into two sub-communities such as Al Sufouh 1 that begins at the intersection of routes D 63- Umm Suqueim Street and D 94 which is the Al Sufouh Road near Madinat Jumeirah and Dubai Police Academy; while the Al Sufouh 2 is located at the south of Palm Jumeirah and in which the Logo Island project has been planned to be developed within the area eventually. As residents, you are so accessible to the following nearby landmarks: Dubai Pearl Mall, Mall of Emirates, Souk Madinat Jumeirah, Gold and Diamond Park, Times Square Center and Dubai Marina Mall. 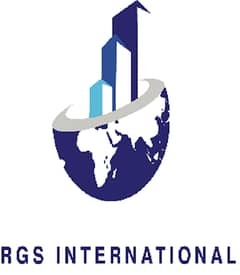 RGS International is a boutique Real Estate company helping our clients find the right residential or commercial property to buy, rent or sell . Since we care about our customers and our missions being client satisfaction , we provide the best help in finding you the right properties in Dubai that is suitable to your requirements. RGS strives to provide the best service, offering optimal value and reliable information to all our clients. From initiation of the contact to the point of successful completion of transaction we will guide you on all the matters related to Real Estate business including property for sale and rent in UAE. Our team of professional and knowledgeable individuals is our greatest asset. Our Property Consultant speak different languages and are well aware of challenges present in this multicultural environment and we will help you to make a right choice according to your wishes and budget. We offer properties for sale : both commercial and residential properties form leading developers, as well as completed properties form the resale market . We are happy to offer you great deals in Dubai's best neighborhoods. On behalf of the clients we undertake marketing of their properties for sale on secondary market, and renting their properties for short and long term . To use this service List your property in our database.